Do you have a Facebook page, which you're not using much and wondering how to delete a Facebook page? Well, in this post I will show you 3 effortless ways to delete any Facebook page. 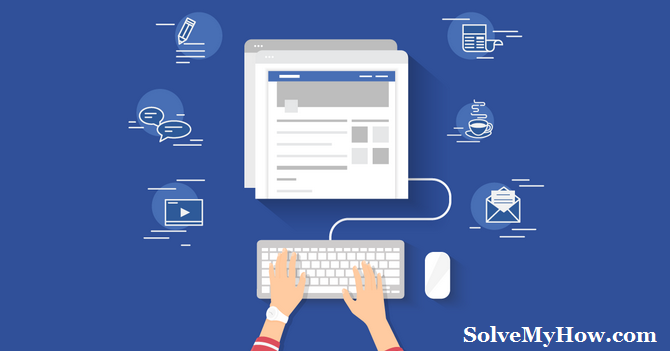 You might have started the Facebook page to share some good stuff with your fans or to connect with your clients/customers. Now, you might get busy or you might have shut down the brand. So, you must be thinking, how to delete a Facebook page? Well, let me tell its damn easy and I've mentioned the step-by-step guide below. Let us first start with iOS. I've divided the entire process into 9 easy steps. Step 1: Open Facebook app. First, open the Facebook app on your iOS phone/tab. Now, click on this button. You will find it on the bottom-right side. Step 3: Click on "Pages"
Now, you may have more than one page. So, simply select the page you want to delete. Now, you will be taken to that page. Here, you will find "..." button on an extreme right-top corner. Click on it. Step 6: Click on "Edit settings"
So, simply click on "Edit Settings". Step 7: Click on "General"
Step 8: Click on "Permanently delete (page name)"
You're have almost reached the last step. Here, you need to press on permanently delete (page name). "page name" is the name of your page. Step 9: Click on "delete page".
" Delete a page is permanent. Once you've deleted a page, you will not be able to get it back. Are you sure you want to delete "page name"? " Simple, press "Delete page?" and you're done. Congratulation, you have successfully deleted a Facebook page on iOS devices. Now, let us see how to do that on Android devices. You need to follow the same steps as mentioned above. There is no change in that. The buttons, options, and steps are same. From Step 1 to Step 9, follow all the steps (step-by-step) to delete the Facebook page on Android Mobile. Note: This is for Facebook Android app. Now let us see how to do that in PC. This is 8 step guide and it's as easy as deleting the page on the mobile device. So, just follow the step-by-step guide. Step 1: Navigate to "www.facebook.com"
Step 2: Go to "options"
Now click on "options" (the downside arrow button). It's on an extreme right-top corner. Step 3: Click on "Manage Pages"
When you will click on "Manage Pages", you will be redirected to a new window. Here, you will see the list of your Facebook pages. So, tap on the page you want to delete. Step 5: Click on page's "Settings"
You will find it on the top-right corner. Step 6: Click on "Remove Page"
Here, you will find many page options. So, scroll a bit and click on "Remove page (delete your page)". Step 7: Now, click on "Permanently delete (your page name)"
Step 8: Click on "delete"
Now, you will see a pop-up. This is confirmation pop-up. So, simply click on "Delete" to permanently delete your Facebook page. So this was all about how to delete a Facebook page in iOS, Android, and PC. I hope you enjoyed reading this article. These are the only 3 effortless ways to delete a Facebook page permanently. Don't forget to share this post with your Facebook friends. They might find this useful. You can also subscribe to SolveMyHow newsletter to get latest updates on Facebook right in your inbox!